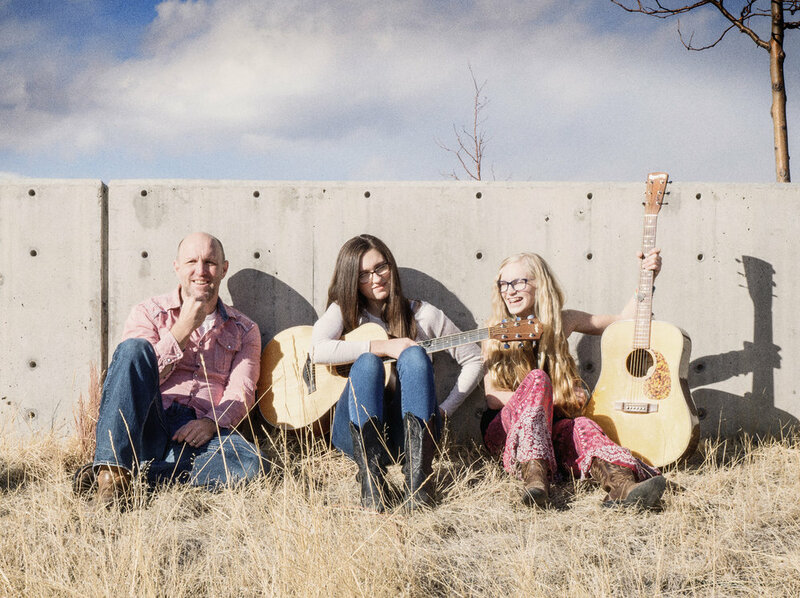 The Cody Sisters Band blends old time, swing, Gypsy jazz, jazz, folk, and modern bluegrass together with soft sister harmonies that remind us of a simpler, slower time. Megan Cody’s entire life has been spent with a guitar or a mandolin in her hand and a microphone at her lips. Her guitar playing took first place in the 2016 New Mexico Flatpicking competition and has drawn the attention of many, including Flatpicking Guitar Magazine. People often compare her to a young Courtney Hartman or Molly Tuttle. You’ll fall in love with her wit and music. Maddie Cody’s favorite place is curled up on the couch with a pencil and a pad of paper to record her lyrics, poetry, and stories. At a very young age, she found that she could add color and flavor to her art by putting them to song with the soft roll of a banjo, the rich tone of a guitar, or the fast melodic beat of the mandolin. She’ll tell you that she can’t remember when she couldn’t play an instrument, and her lightning-fast fingers prove it. Crowds are wooed by her sweet innocence and fresh take on life and music. Our opening acts are the "Ozark Jazz" ensemble Izabel Crane and guitarist/singer Paul McCann.